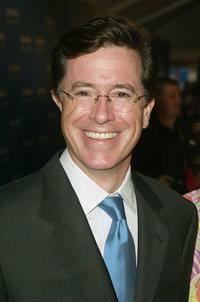 Stephen Colbert and guest at the 58th Annual Primetime Emmy Awards. 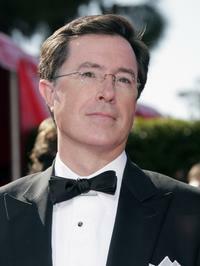 Stephen Colbert at the 59th Annual Primetime Emmy Awards. 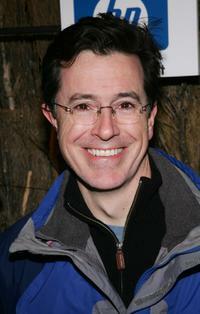 Stephen Colbert at the Sundance party for "Strangers With Candy" during the 2005 Sundance Film Festival. 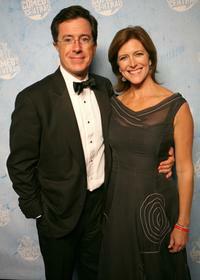 Stephen Colbert and wife Evelyn Mcgee at the Comedy Central's 2007 Emmy party. 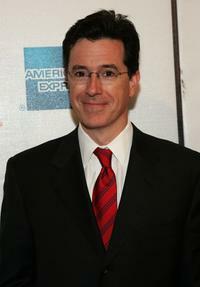 Stephen Colbert at the Comedy Central's 2007 Emmy party. 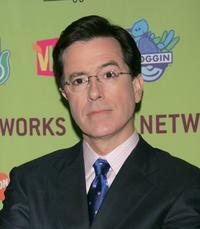 Stephen Colbert at the MTV Networks 2006 Upfront: Feed The Need. 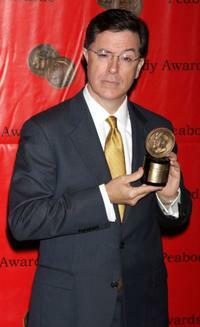 Stephen Colbert at the 67th Annual George Foster Peabody Awards. 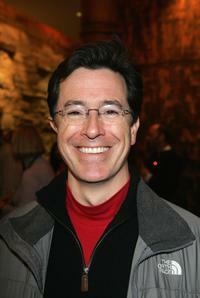 Stephen Colbert at the Entertainment Weekly's Winter Wonderland Sundance Bash during the 2005 Sundance Film Festival. 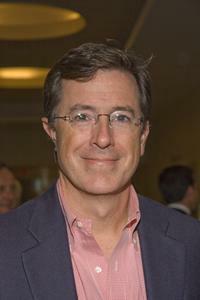 Stephen Colbert at the screening of "Great New Wonderful." 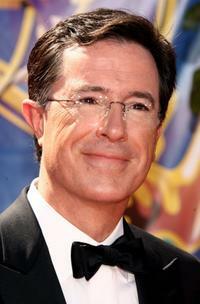 Stephen Colbert at the 58th Annual Primetime Emmy Awards. 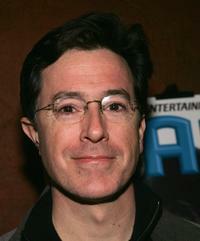 Stephen Colbert at the premiere of "In The Shadow Of The Moon." 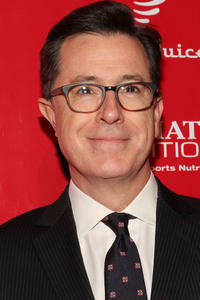 Stephen Colbert at the premiere of "Bewitched." Stephen Colbert and his wife at the premiere of "Bewitched." 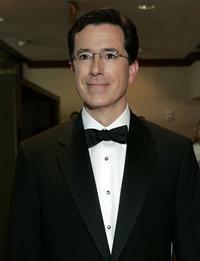 Stephen Colbert at the White House Correspondents' Dinner. 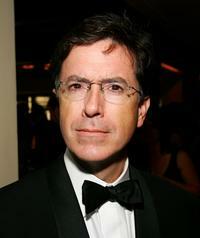 Stephen Colbert and guest arrive at the Comedy Central Emmy party. 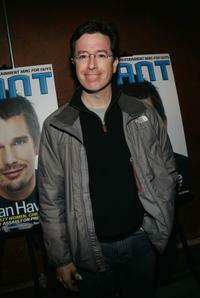 Stephen Colbert at the Variety 6th Annual "10 Directors To Watch" party during the 2005 Sundance Film Festival. 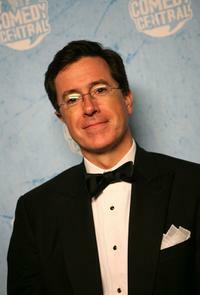 Stephen Colbert at the ACLU Foundation's Annual Torch of Liberty Awards Dinner. 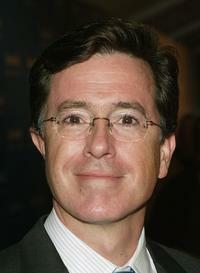 Stephen Colbert at the Comedy Central Emmy after party.